To the many Americans who don't follow the business news in their local paper, when the current crisis in the financial markets made its way into nightly television news broadcasts, it seemed like it came out of nowhere. Yet for those who looked for them, there were signs that a crisis in the mortgage industry and related markets was looming for at least a year, and the irresponsible economic policies that helped facilitate it date back to the early days of the Bush administration. As the summer driving season begins many Americans will come face-to-face with one of the Bush administration's crowning achievements — the $4 gallon of gas. Like the subprime mortgage crisis, high gas prices and the related high prices of crude oil have made their way from the business pages to front pages of major newspapers. Yet, earlier this year CBS's Peter Maer asked Bush if he had any advice for the average American facing the prospect of $4/gallon gasoline. 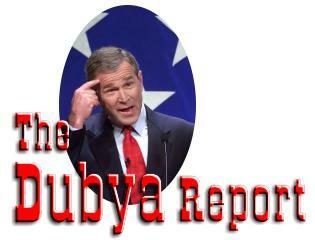 Bush, the former unsuccessful oil man, had not heard the prediction. "Oh yeah? That's interesting. I hadn't heard that," Bush said. The Bush administration has presided over at least a 4-fold increase in the price of oil, from approximately $30/barrel on the day of Bush's inauguration to $134/barrel as of this writing. The man who headed Vice President Cheney's task force, Andrew Lundquist, is now a lobbyist representing several of the firms that that task force interviewed, including BP, Duke Energy, and the American Petroleum Institute. Citing "executive privilege" the administration has refused to release the task force's 170-page report to the press or the public. The Bush family has had an unusually close relationship with the Saudi royal family dating back at least to 1986 when "Poppy" Bush convinced the Saudis to limit oil production. In the current administration former Saudi ambassador Prince Bandar had such privileged access to "Junior" that he was given the nickname "Bandar Bush." The US has always been a nation of immigrants. Native Americans were themselves migrants. In the 1700s the English settlers feared that the wave of Scots-Irish immigrants would hurt the economy and bring crime and immorality. Actually the Scots-Irish solved a national security problem by increasing the US population enough that it could expand westward. The Irish immigration in the 1840s and arrivals from southern and eastern Europe in the 1880s followed similar patterns. Those already living in the US feared economic and social distress, but the influx of humanity populated the continent, and provided the industrial workers and soldiers needed to establish the US as a global power. The nation is once again caught up in a contentious debate over immigration. The issue has divided the Republican party, threatens to influence the coming congressional election, and exposed racial and ethnic tension.